FREEWHEEL HUBS These have threads for a separate freewheel combined with sprockets that screws on. Most hubs prior to 1980 were designed for screw-on freewheels. 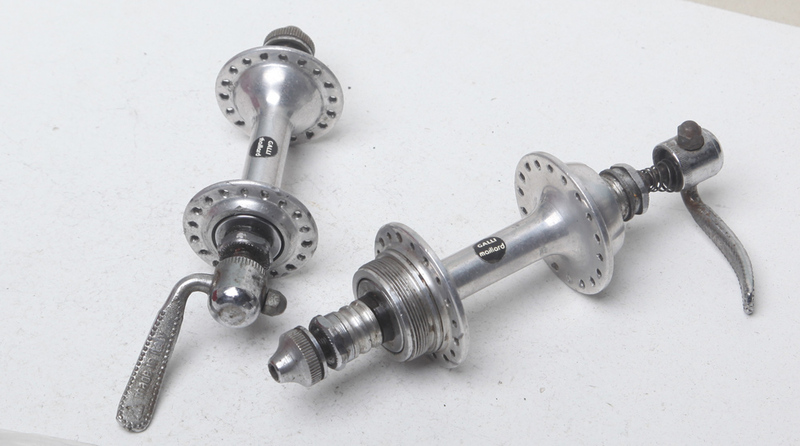 Freewheel rear hubs are threaded either to English, Italian or French standards. The English and Italian standards are in mine and most people's opinions perfectly compatible with each other are by far the most common. French threaded hubs are quite rare but I do have have some French threaded freewheels to fit on on my Freewheels pages. 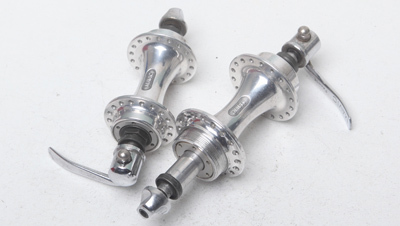 Shimano cassettes come in 5, 6, 7, 8, 9, 10 and 11spd versions. 9 and 10spd cassettes will fit 8spd Shimano cassette hubs. The 5, 6, 7 and 8spd cassettes come in Uniglide and Hyperglide versions. 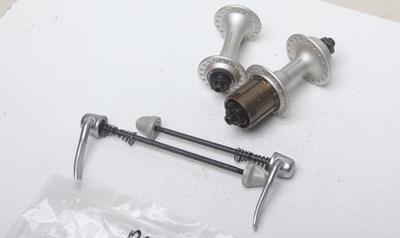 The Uniglide versions use a screw threaded top gear sprocket to secure all the sprockets in place. The Hyperglide and later cassetes all use a separate lockring. 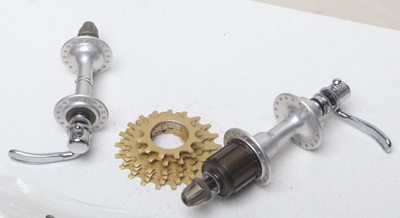 The DA Uniglide cassette's screw threaded top gear sprocket is not compatible with any hubs other than Dura-Ace. 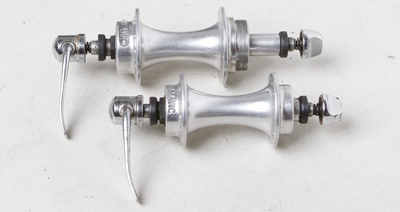 Campagnolo cassettes are are available in 8, 9, 10 and 11 speed types. 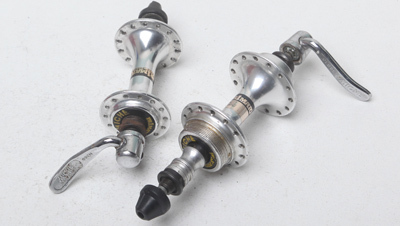 There are two types of Campag 8spd cassette – Exa-Drive and standard. 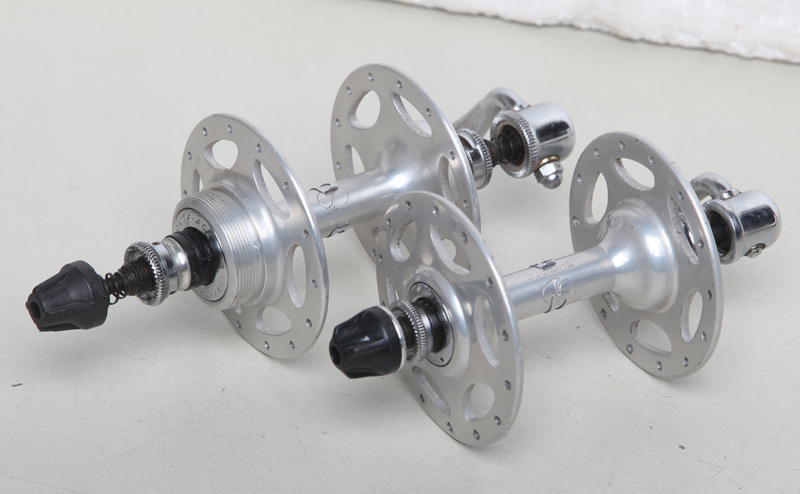 The Exa-Drive cassette have one spline wider than the others and will fit both standard and Exa-Drive 8spd hubs. 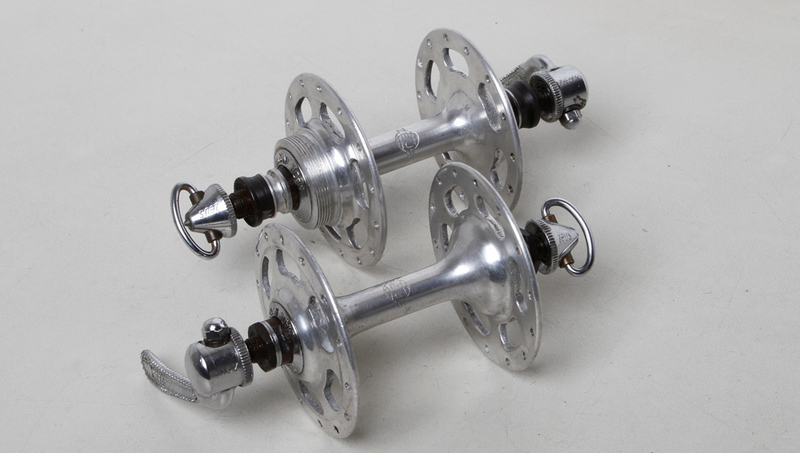 The standard Campag 8spd cassetts have equal width splines and will only fit the early standard 8spd Campag hubs. Campagnolo devised a completely new spline design when 9spd cassettes were introduced and this spline design was also used for 10spd. 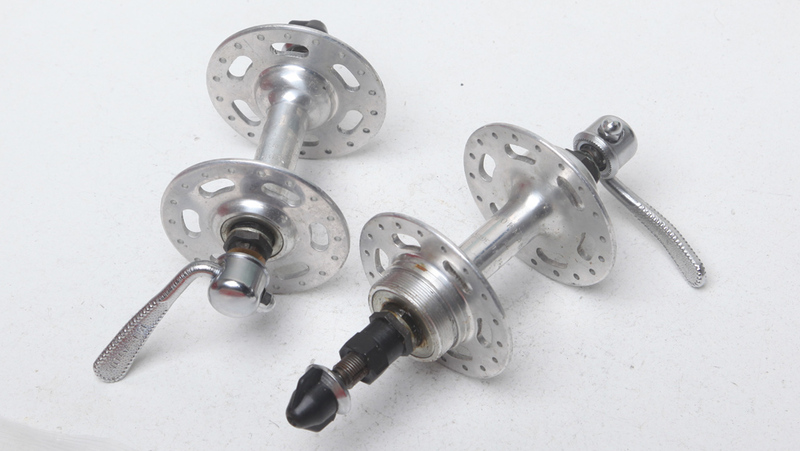 Suntour made some cassette hubs but these hubs in the most part only accepted Suntour cassettes. 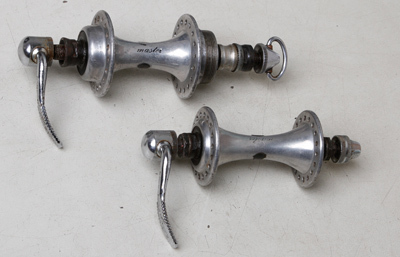 Most other manufacturers have made their hubs to accept Shimano or Campagnolo cassettes. Most modern front hubs are 100mm OLD (Over Locknut Dimension). 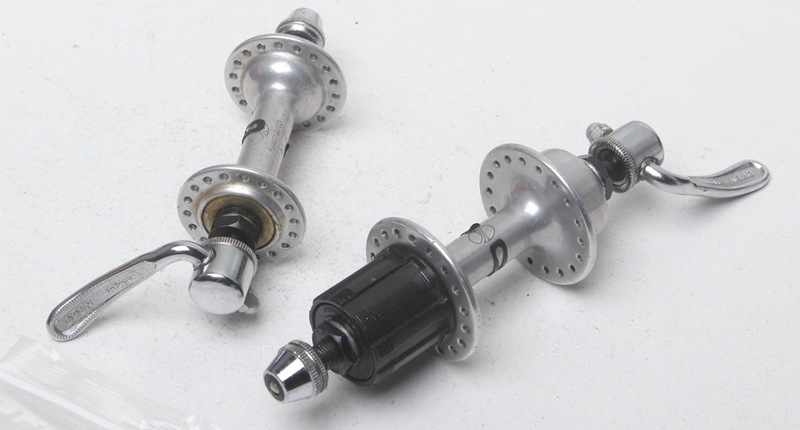 Rear hubs will be either 120 or 122mm for a 5spd freewheel or cassette, 124, 125 or 126mm for a 6spd or 7spd freewheel or cassette and generally 128 oe 130mm for 8spd freewheels or cassettes and 130mm for 8/9/10spd cassettes.